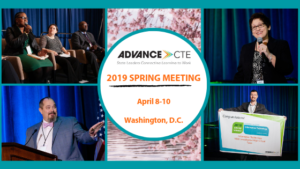 This post is written by ACT, a Gold Level sponsor of the 2019 Advance CTE Spring Meeting. Success after high school looks different for everyone. Increasingly, however, that success rests on additional postsecondary education or training beyond a high school diploma. As we have heard many times before, students must be ready for both college and career after graduation. Yet, in order to get there, students need to be equipped with reliable information about their readiness for both– regardless of the post-high school path they choose to pursue. 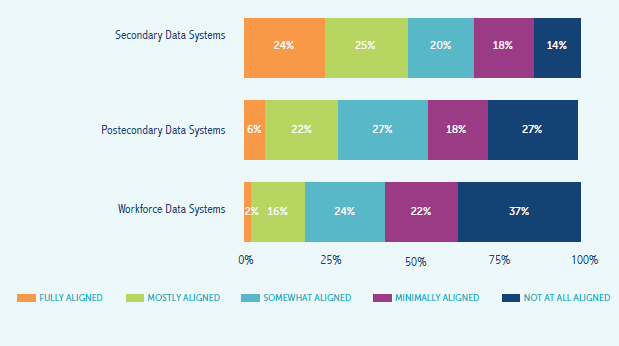 We also know that educators need that same information to address skills gaps, accurately measure student learning, and calibrate program improvements. For 60 years, we at ACT have been studying what is most essential for education and workplace success. Recently we’ve looked more closely at our data for students who took both the ACT college admissions exam and ACT WorkKeys assessments—a set of foundational skill, work-based assessments that lead to the National Career Readiness Certificate. In comparing the research-based benchmarks for each assessment, we found that the foundational skills required for “college readiness” and “career readiness” are in fact equally rigorous and essential to student education and workplace success. However, we also know that skills are used differently in educational settings compared to the world of work. For instance: on the ACT, we might assess a student’s ability to read and understand a passage from Shakespeare. Yet with our WorkKeys assessments, we are measuring something different—how a student makes use of that reading skill and applies it in order to solve a workplace problem. In other words, measures of career readiness must include not only essential academic skills but also how those skills are applied in the context of a work environment in order to truly measure the “career readiness” of students. For anyone who has spent time inside a CTE classroom, this is not a revelation. What students learn in school should prepare them to succeed in further education, in career, and in life. The extensive research foundation for our assessment solutions, based on actual workplace and postsecondary outcome data, further underscore this important point. As states endeavor to reexamine their CTE systems and implement new state and federal laws, it will be increasingly important to integrate college and career readiness benchmarks—like those found in the ACT and WorkKeys— to ensure that students are able to make successful transitions to life after high school. 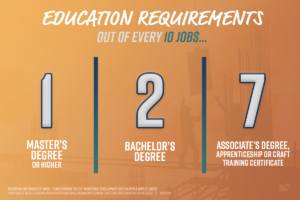 By leveraging the ACT work readiness system, students of all ages are able to certify their foundational skills and understand with confidence the relevance of those skills to a host of career pathways. 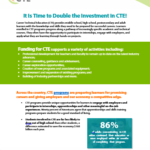 Through research like this and through making such benchmark data freely available to practitioners on our website, ACT is doing its best to support CTE leaders and practitioners in meeting the goal of providing high-quality CTE programs and ensuring that all students are on the pathway to college AND career success after high school. This post is written by CompTIA, a Diamond Level sponsor of the 2019 Advance CTE Spring Meeting. The World Economic Forum estimates that 65 percent of students today will ultimately be working in jobs that don’t currently exist. 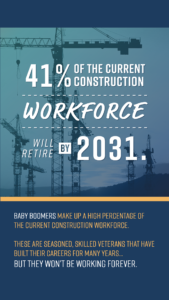 That may be an alarming statistic for any person entering the workforce, but reading between the lines, this is a reminder for employers in all sectors that transferable skills and the right training are more important than ever, because jobs are evolving. Smart employers look to a candidate’s career and technical education experience, along with industry-standard certifications, like CompTIA’s, for reassurance. As we look to future-proof student’s careers, it’s important to evaluate what skills are needed, as well as understand the labor market and predicted opportunity for the future. The technology industry in the U.S. alone is anticipated to grow by 4 percent in 2019, according to CompTIA’s Industry Outlook Report. Also consider that technology is now a part of the fabric of every organization. Digital transformation is giving rise to a growing demand for IT talent not only in the IT sector, but for varied career pathways within all organizations. Hiring managers in manufacturing, retail, healthcare, and automotive, cannot find enough employees with the required skills and competencies to fill their IT job roles. 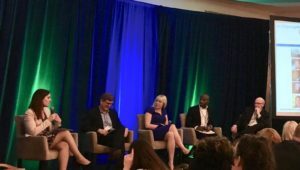 The CompTIA 2019 CyberStates (cyberstates.org) research found that nearly half of IT jobs are in non-tech companies. Another factor that makes an IT career pathway promising is the increased demand for Cybersecurity talent. With data breaches expected to rise globally to nearly $6 trillion dollars in 2021, the number of jobs in cybersecurity are expected to increase by 56% percent within the next 3 years. With so much opportunity to develop in-demand tech skills and meaningful IT and cybersecurity careers, CompTIA works with State and Local CTE leaders to deliver IT career pathway programs. As the non-profit association for the tech industry, CompTIA develops certifications for IT professionals. Certifications are mapped to specific job roles and updated by in-the-field experts, who are in touch with the emerging competencies required. Another hallmark of CompTIA’s certifications is that they are performance-based, recognizing that it’s not just about “what you know” but “what you can do”. Having CompTIA certifications signals that you have both knowledge and problem-solving ability, which translates into career success.